We lost our beautiful Bear today. He has been a part of our family since the day we were walking through an ASPCA adoption van and he reached out and grabbed Fred by the arm. His request could not have been clearer. Bear was never what you would call a normal cat. He lived his first 2 years in a no kill shelter and when we brought him home it took him a while to get his bearings and to learn how to move around a large space. We had to teach him to climb stairs! 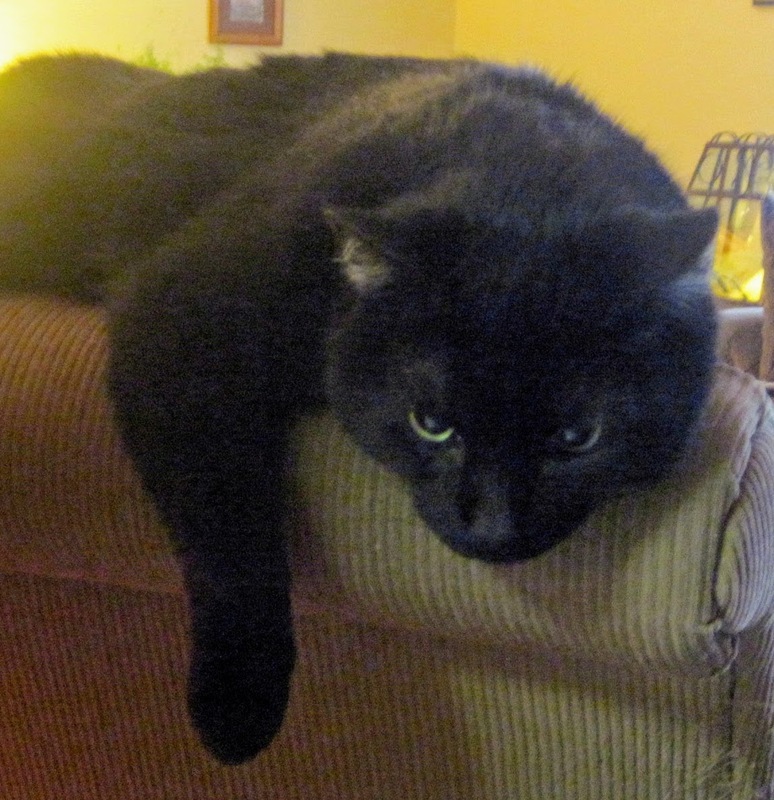 He never developed catlike grace and was forever falling off of the back of the couch or a window sill. His rolling gait and lack of stealth earned him the nickname Bubba. Bubba may have lacked graceful moves but he made up for it in love. He was a wonderful snuggler and loved nothing better than to curl up in Fred's lap and take a nice snooze. His purrs were amazing. We worried about taking a blind elderly Bubba on the road with us when we started living in the RV 2 1/2 years ago. He adapted just fine, claimed which couch was his and learned where the sun spots would come through the windows each time we stopped. He has been an integral part of our family for 15 years. We will miss his purring nudges to get up in the morning and his wailing demands to be fed at exactly the same time every day. We love you Bear and will always remember you. It isn't easy but we are happy to have had him in our lives for so long.